A homicide detective and an anthropologist try to destroy a South American lizard-like god, who's on a people eating rampage in a Chicago museum. While working alone at night a teacher comes face to face with a demonic letter hidden in an old book. She reads it aloud and unknowingly summons a creature able to mimic anything it wants to get its prey. The Earth is invaded by stingray-shaped alien "slugs" that ride on people's backs and control their minds. Q: What is 'Mimic 2' about? 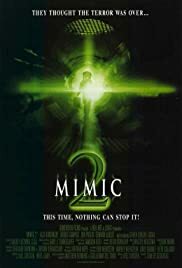 Q: Is 'Mimic 2' based on a book? 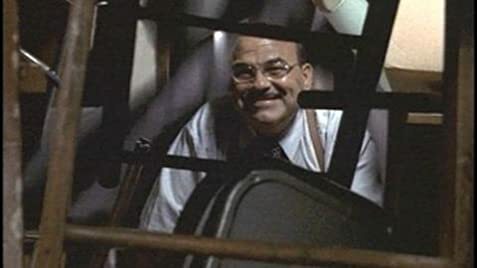 This movie was worst than the first Mimic movie. First of all the plot of the movie is pretty bad. It's about a cockroach race that has come back to haunt the people of New York. Remy(alix koromzay) an elementary school teacher, is the main character of the movie, she teaches a children biology. Klaskin(Bruno Campos) plays the detective, who tries to find out the mysterious murderer incidents. In the beginning of the movie, the story already falls apart. We don't even know where the cockroaches even come from. The story isn't good at all and the effects are typical. There's even a scene that seems to copy a part of a movie from every bug movie ever made IE Ticks. Believe me this movie is not worth to watch. 82 min is not worth it to waste your day. Rent the first mimic at least the acting and the scenes are much better.